Meet at the airport an transfer to your hotel. You will be given your room key and the rest of the day is yours to explore Istanbul. Overnight in Istanbul. We depart at 09:00 for the Istanbul City Tour. You will begin with the ancient Hippodrome, which was the scene of chariot races and the three monuments: the Obelisk of Theodosius, the bronze Serpentine Column and the Column of Constantine. We will then continue to the Sultanahmet Mosque across from St. Sophia built in the 16th century by the architect Mehmet. It is also known as the Blue Mosque because of its magnificent interior decoration of blue Iznik tiles. Then arrive at our last stop which is the famous Hagia Sophia. This ancient basilica, built by Constantine the Great in the 4th century and reconstructed by Justinian in the 6th century, is one of the architectural marvels of all time. 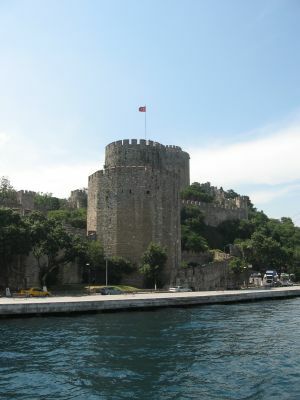 After the tour you have the option to experience The Bosphorus Cruise. You will have the chance to enjoy magnificent views of the Bosphorus which is connecting Asia to Europe. The rest of the evening is you're to enjoy Istanbul. 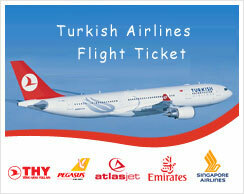 After your breakfast you will be picked up from your hotel and join your group and depart for Canakkale. The group will arrive in Eceabat at noon and begin the fully guided Gallipoli tour. Visiting Kabatepe Museum, ANZAC Cove, Lone Pine Australian Memorial, Johnston 's Jolly, The Nek and Chunuk Bair New Zealand memorial. During the tour there will be a lunch break. Late in the afternoon we will arrive in Canakkale. After breakfast we depart for the ancient city of Troy. Your guide will explain the mythology surrounding Troy, the Trojan Horse and Helen of Troy, as well as the history and discoveries of the archeological diggings from its discovery by Heinrich Schliemann in the 1870's to the present day and on going. Nine cities have been discovered built one on top of the other dating back to 3500 B.C. After Troy we will depart for Kusadasi, late arrival to Kusadasi. A fully guided Ephesus Tour starts at 08:30, one of the best preserved ancient ruins in the world. A visit to Ephesus - once the commercial centre of the ancient world - is a highlight of any visit to Turkey. The city, whose wealth and patronage supported its splendid architectural program, was dedicated to the goddess Artemis. Her enormous temple, once considered one of the seven wonders of the Ancient World and rebuilt several times, dates in its latest form from the third century B.C. The tour of the ruins also includes a theatre, gymnasium, agora and baths, as well as the Library of Celsus. After Ephesus tour we depart for Bodrum. A day at sea with lunch included and served on board. We set out at approx. 11:00 to cruise the turquoise seas of the Bodrum coastline. We will visit several of the most beautiful bays where you can swim and snorkel in crystal-clear water or simply relax in the mild breeze, enjoy the stunning views and perfect your suntan to the sound of the gently lapping waves. Back on land at approx. 17:00. Tonight we party and explore Bodrum clubs and bars visit Halikarnnas the largest outdoor discotheque in Europe. 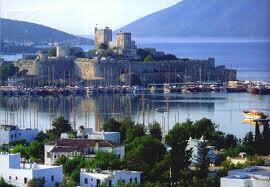 Exclusive to Bodrum and highlighting some of Europe finest Dj's and exotic parties. Or you can take a ride on The Catamaran the world's largest floating club. With its glass bottom you can literally dance on water.